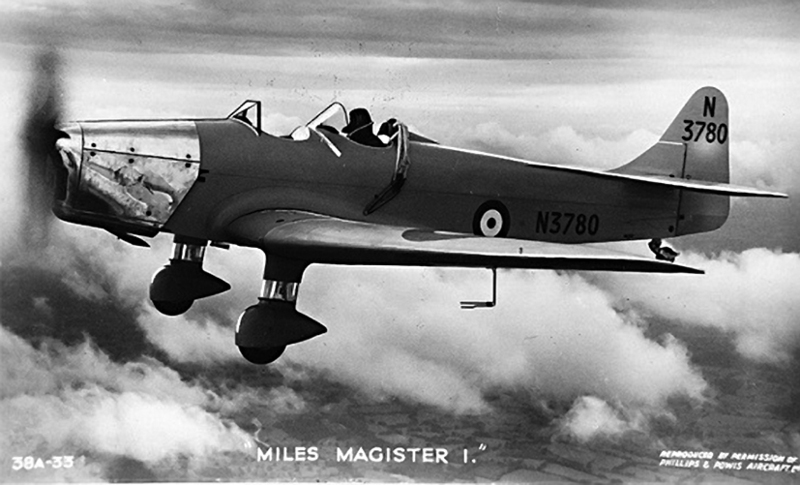 A Miles Magister aircraft, which Timothy flew. Teachers – there’s also a great teaching resource to support the Prize and get your students writing an entry! The all-too-short life and surviving work of the poet Timothy Corsellis are fascinating for the light they cast on the writing and publishing of poetry in adverse conditions. Little in his middle-class London and home counties background predestined Timothy Corsellis to become a poet; his vocation appears to have been awakened when he was sent to school in Winchester, during walks in the meadows where Keats had composed his ‘Ode to Autumn’. In his last term at Winchester College (1938) he read voraciously: the library archives record his borrowing no less than fifty-six books in less than three months. During four years at a house of 40 boys coming and going in a disturbing and endless stream I was aware of three besides myself writing poetry, one of whom did so fairly extensively; of course it is quite likely that others have been doing so but only allowing the wastepaper basket to share this secret with them..
Timothy Corsellis, 1938; with permission of the Warden and Scholars of Winchester College. Where are you going to, laughing men? For a holiday on the sea? Why won’t you wait for me? Do you not know what’s before? And the tales of the filth and the gore. In May 1940, with the defeat of Dunkirk and the fall of France, everything was changed utterly. In response to Churchill’s resonant call, Corsellis applied to be removed from the list of Conscientious Objectors. By July he had been accepted by the RAF and his military career had begun. Though it was to last only six months, his training period in the RAF produced the poems that were to figure in no less than eleven anthologies of war poetry, and on which his reputation still rests. They bear witness to the painful contrast between the pettiness of service training and the exhilaration of flying. Corsellis’s RAF experience was brought to an abrupt end when he learnt that he was to be put under Bomber Command. Horrified, he wrote to his Commanding Officer to ask for an immediate transfer from bomber-training to a fighter squadron or the Fleet Air Arm, or any flying area that would not involve the bombing of civilians. By way of official response, he received, in February 1941, an honourable discharge from the RAF and so, in the midst of war, returned to civilian life. His courageous stand, at the height of the Blitz, may be understood in a number of ways, but it certainly had much to do with a renewed interest in his religious belief. While on leave from the RAF he met Susan Hichens at a Christian discussion group. They corresponded while Timothy was in the Air Force and Timothy was able to offer words of comfort when her father was killed in an air raid. Apparently, however, she did not return his affection. His disappointed hopes were expressed in ‘Amethyst Crucifix’, a Shakespearean sonnet which gives a wonderfully ambivalent account not only of his mixed feelings about an aloof woman but also the ambivalence of the Anglican Church in wartime. Timothy’s best-known poem, ‘What I never saw’, was literally as well as metaphorically true. When he received his honourable discharge from the RAF, in mid-February, he successfully applied to serve in the Air Transport Auxiliary (ATA) but his incorporation was delayed until August 1941, as it depended on his undergoing treatment to correct a problem which had developed in his right eye. During this time he was officially employed by Wandsworth Council as an ARP (Air Raid Precautions) worker. The bombing raids on London were then at their most intense and most destructive. On March 19 a raid on the East End docks killed 750 people and seriously injured more than 1000. On April 16 over 1000 people were killed and over 2000 fires were started. The worst raid of the Blitz came on May 10, killing nearly 1500, seriously injuring 1800 and destroying historic landmarks such as the House of Commons. It was during this final stage of the Blitz that the young poet had his own “earthquake of the mind”. That which sets the writing of Timothy Corsellis apart from all other accounts of the Blitz, can be found in the three poems written during the week beginning on Easter Sunday and which, read in sequence, imitate the Easter experience of death, resurrection and new hope. ‘Real Despair’ is dated April 13th, Easter Sunday, 1941. The speaker is someone at the scene of a bombing, who looks into the “horror-numbed” eyes of a man who realizes that though he will survive a bomb-blast, his severely-wounded wife will not. For the poet the crazed man becomes the image of real despair because, though his body has been freed from the “timber cage” that pinions him, the “overdose of emotion” has – for an unknown period of time – paralyzed his mind. In the face of such loss, the poet-speaker’s private confusion becomes less real than the suffering of the other man. The second poem, ‘Repression’, is about intimacy, and enacts the necessary balance between the flood of past memories and desires and the controlled pleasure of present sensations, marrying innocence with experience. The intimate experience allows the perspective of the speaker to evolve from “he” to “I” to “you”: in other words, from self-alienation through troubled self-absorption to receptivity to others. To reach these mangled remains? The present participles – remaining, bending, rending, tearing, holding, adopting, caring – perform their linguistic function of creating, as though in a freeze-frame, an eternally present, constantly repeated, traumatic moment. The compassionate work of the living for those still alive takes on the redemptive quality of a resurrection. Even when the unearthed children are dead, their rescue from the rubble makes rebirth possible for the bereaved relatives, since a body is necessary for the mourning process to begin. There are of course other accounts of the Blitz in which it is seen as a transfiguring experience, when an ordinarily divided society came together in the face of a common enemy, but they do not quite capture what Timothy saw, at the time. Nor are retrospective accounts, such as Stephen Spender’s “incandescent faith that did not quite catch fire”, though excellent in their own ways, quite as vivid as the physical experience transmitted by a poem written at the time. The hard work of rescuing bodies from an indecent and untimely burial and the gentle handling that the rescued bodies require are sensual, physical acts which bring to mental consciousness the innate human power of compassion. 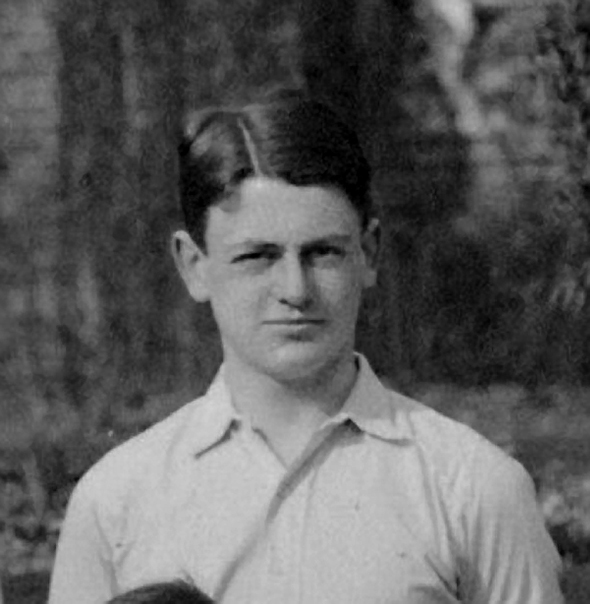 In late August 1941, he was posted to the ATA (Air Transport Auxiliary) headquarters at Maidenhead, within easy reach of London literary life, where he met Stephen Spender, whom he was able to introduce into the official world of fire-fighting. This wartime encounter was to have a long literary history – Spender’s last published poem was ‘Timothy Corsellis’, dedicated to the young man he met many years before – and, had Timothy lived longer, it would no doubt have changed the course of the young poet’s career. In the event, on October 10th, the plane Timothy Corsellis was ferrying crashed near Carlisle, killing him outright. As he and every wartime poet knew, his words became his epitaph, commemorating a war of which it was a small, broken part. A war, which in Oscar Williams’ words, “no matter how slowly or rapidly it may change social institutions, has markedly changed those engaged in its horror and adventure. Often that change is final, as in the case of a young British Pilot Officer, Timothy Corsellis, who was killed in action. Not, however, before he had written some verse that indicated a brilliant talent, a talent that was never permitted to flower; death in action does not nourish poetry”. This is an adapted version of an article by Dr Helen Goethals, ‘From Winchester to War: Timothy Corsellis (1921-1941)’. The complete article is available at the website of the War Poets Association. Find out more about Young Poets Network’s annual Timothy Corsellis Prize – wonderful prizes on offer! Teachers – there’s a great teaching resource to support the Prize and get your students writing an entry!